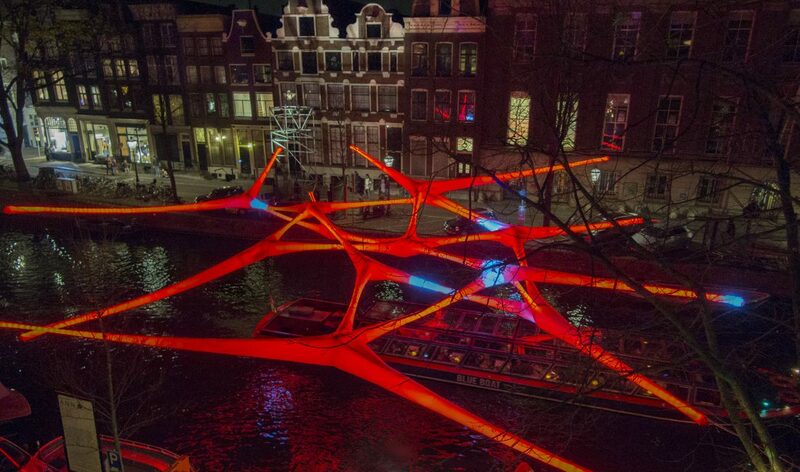 A.N.N is an inflatable construction made of several luminous large scale objects which hanging above the water. The installation stands for ‘artificial neural network’; this is software that mimics systems in our brain. It receives signals, interprets them from previously acquired knowledge and then processes and sends them. According to the A.N.N computing system which is a mathematical definition, the artwork can also define as an algorithmic construction, a parametric generated design. 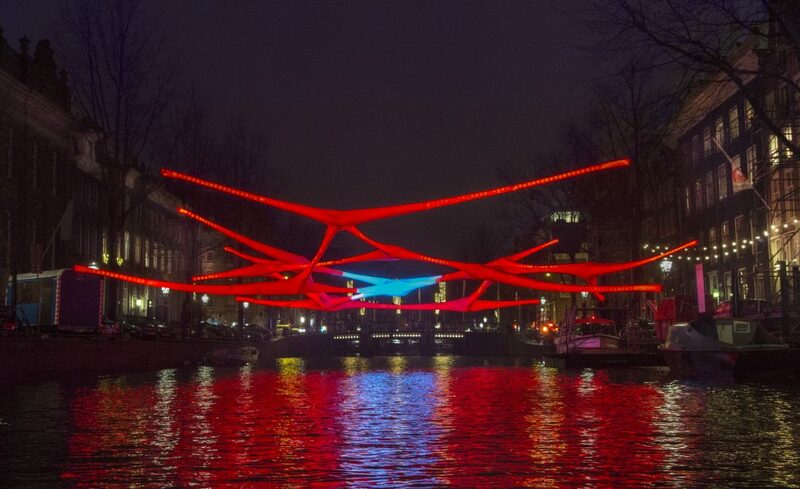 The light installation measurements are 24mx24m include 3000 pixels. A.N.N. 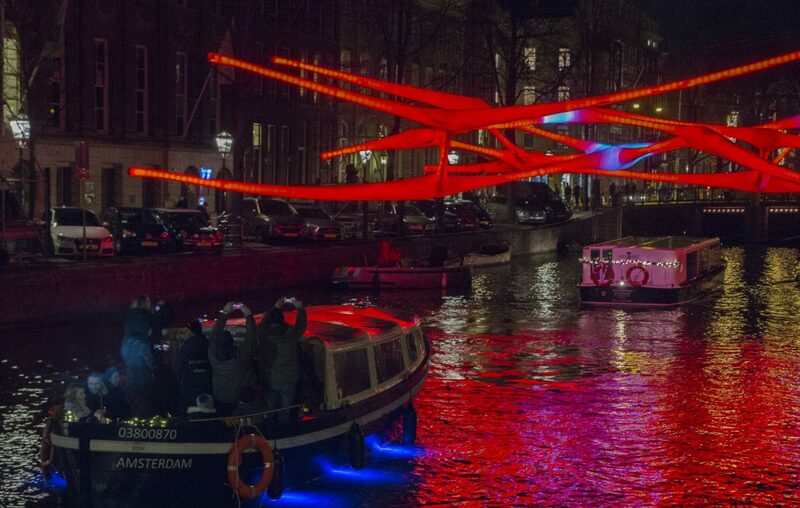 was on display at the 7th edition of Amstredam Light Festival in 2018-19.